The 911 Targa 4S offers everything that the coupe does but allows you, at the flick of a button, to remove the roof! A great rental car that is proving very popular in the UK with individuals that rent cars from Signature Car Hire. 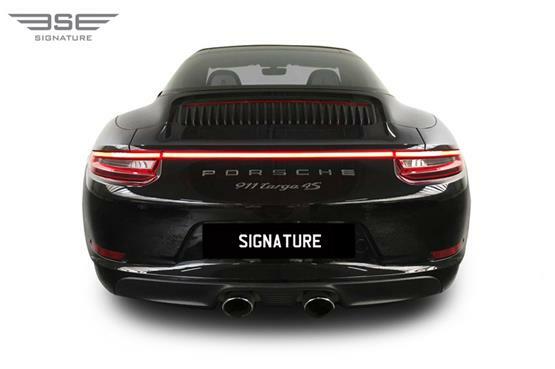 The operation starts with the entire rear section, including engine cover spoiler and large wrap around rear glass window, raising up and moving backwards, finally coming to a stop hanging high above the engine bay and out beyond the rear bumper. This is then followed by the raising of the storage area cover to reveal a space between the rear wheels that will become the resting place for the removed roof section. 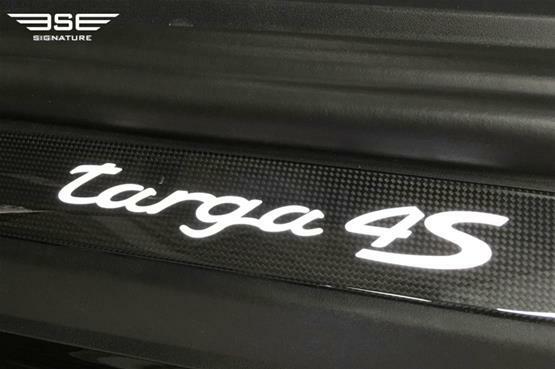 Following that, the brushed alloy Targa hoop raises its top section to allow hydraulic arms to drag the roof section through the hoop to its resting place. 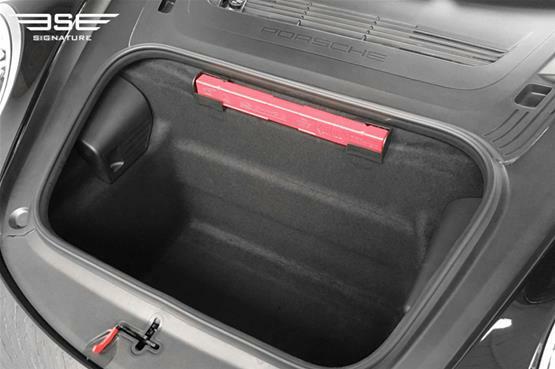 Once stowed away the procedure continues as the sections all go back into position. 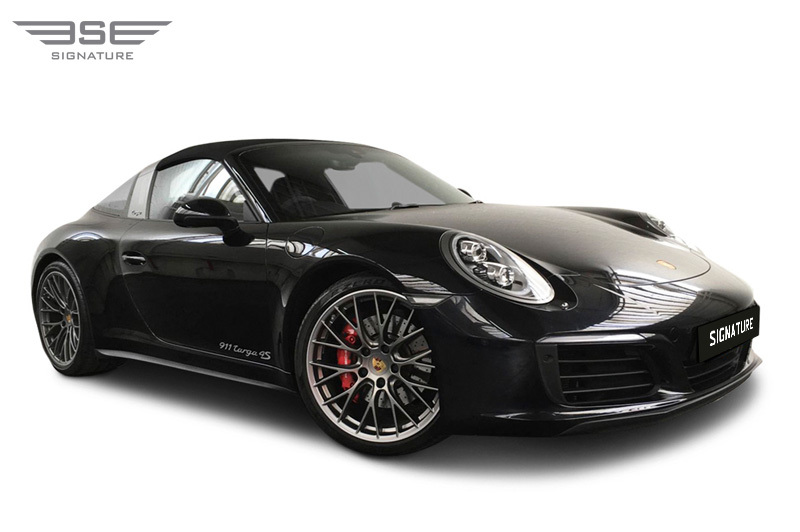 This rental car is a 911 S and a real supercar! The 4S sits near the top end of the 911 range with the S adding sporting touches including electronically controlled suspension settings. The power increases from 365bhp in the standard car to 420 bhp and the on-demand electronically-controlled "fly by wire" throttle gets all this power to the road instantly producing a 0-62 sprint of just 4.4 seconds and powering onto a top speed of 187mph. 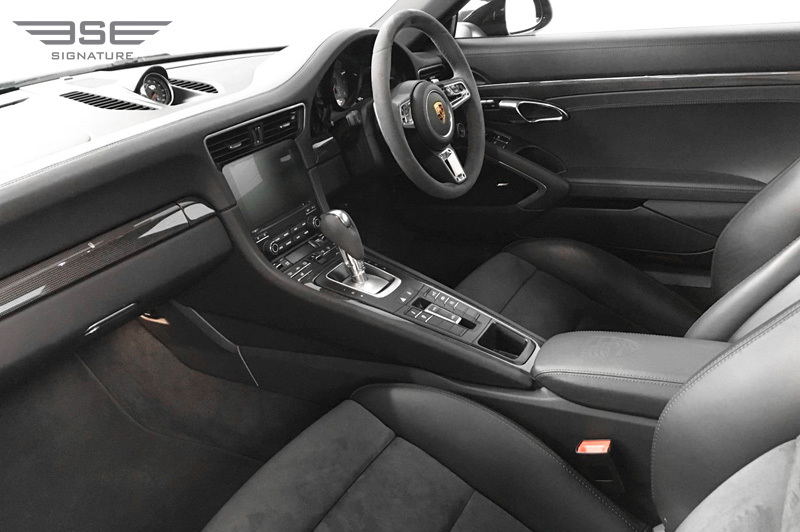 The interior of this rental Porsche is distinctive and very comfortable with fully supportive seats framed with leather trim and components in silver alloy, all finished to the very highest Porsche standard. The central touch screen brings everything to hand from satellite navigation to smartphone connection. 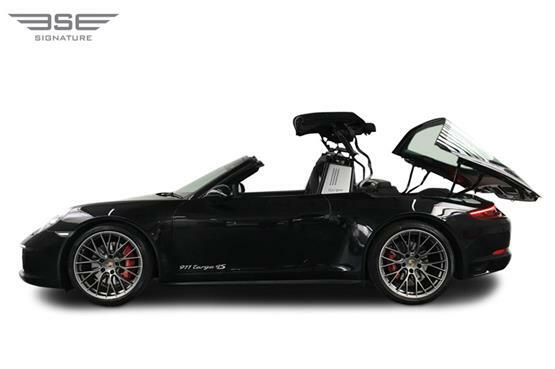 The Targa still enjoys practical luggage space in the nose for those that are looking to rent a car for a long journey or trip away. 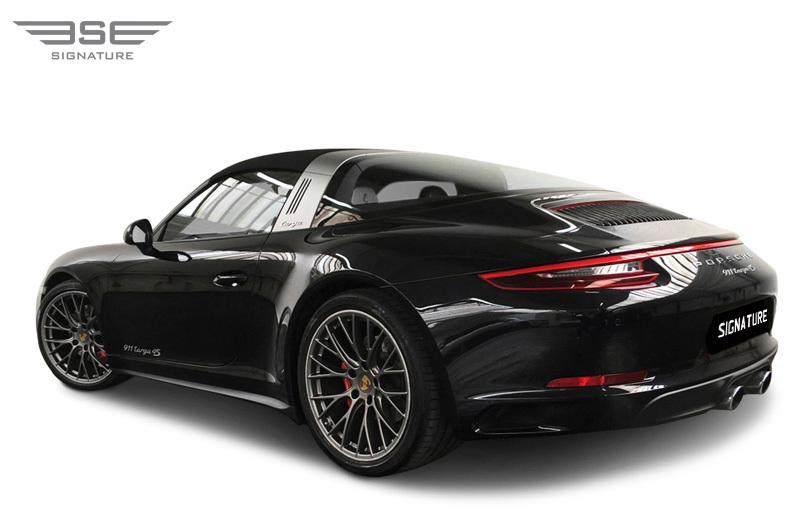 Our Porsche 911 Targa 4s hire car also comes equipped with Adaptive Sports Seats, Sports Chrono Package, full LED headlamps and Park Assist (Front & Rear). 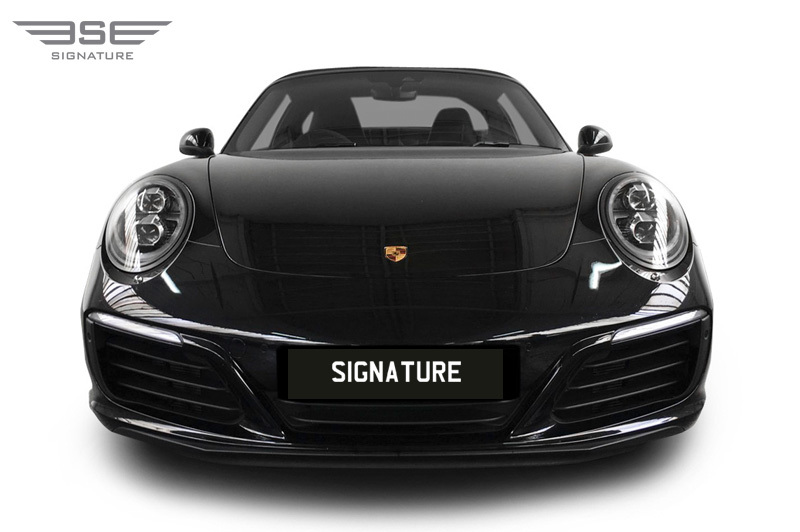 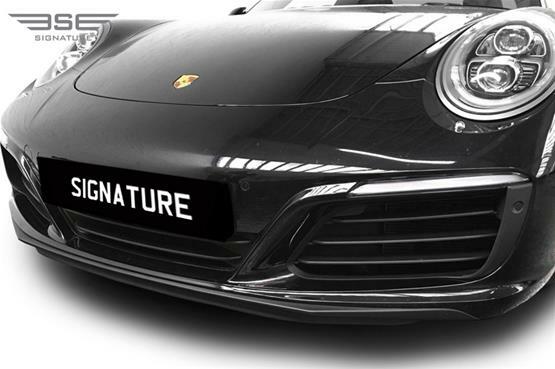 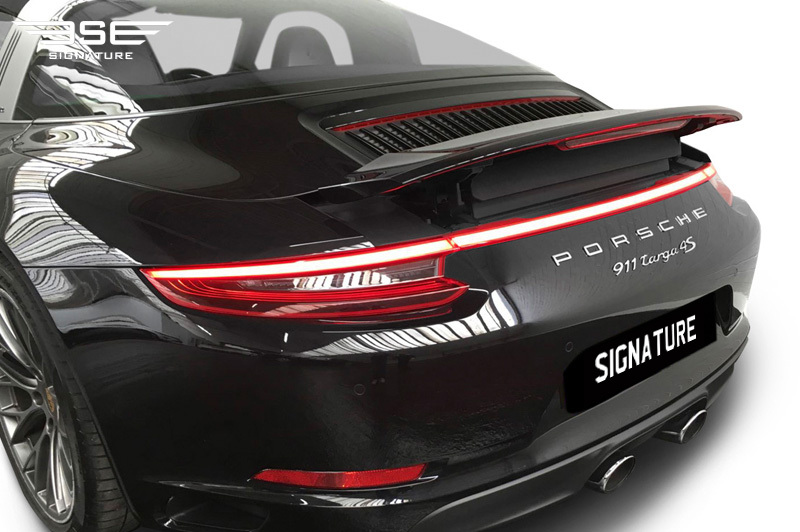 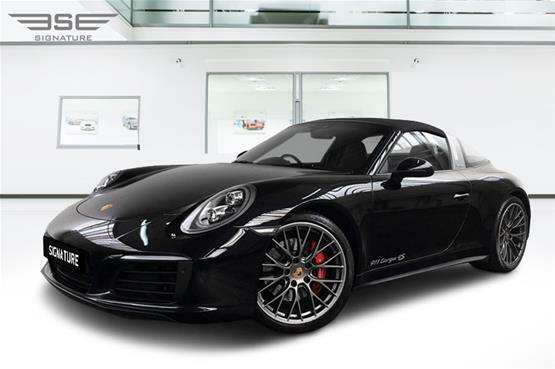 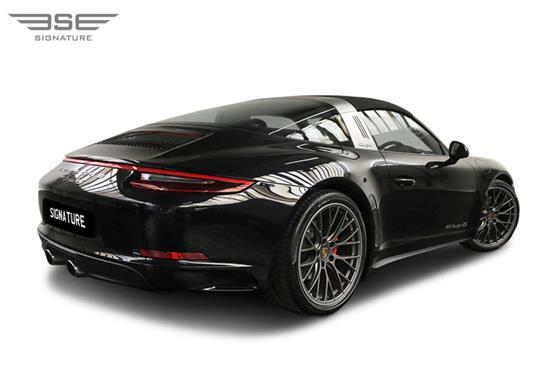 To experience this rental Porsche 911 Targa 4S in the UK, simply call Signature Car Hire on 0207 118 2244 today. 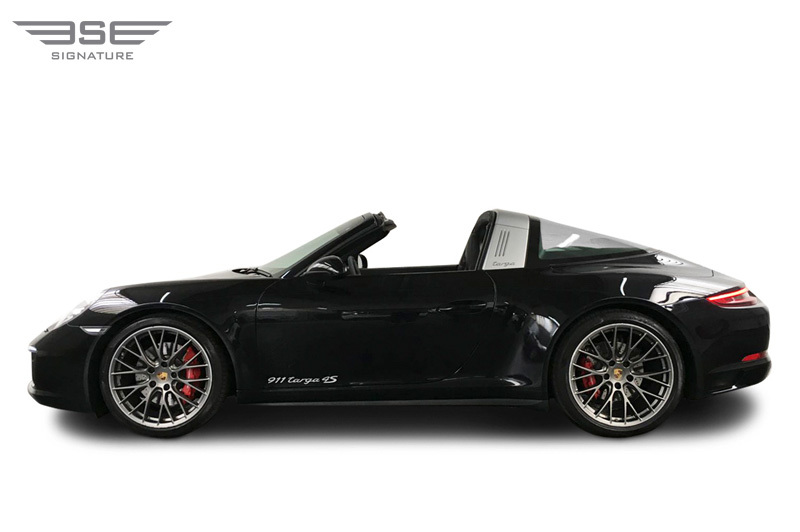 The Porsche 911 Targa is certainly one of its more iconic versions of the German company's high performance sports car. 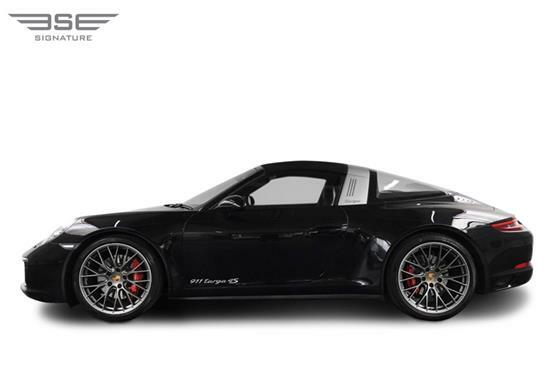 First launched back in 1967 the Targa has seen various reincarnations over the years, powered by air-cooled and then later water-cooled flat-six engines. In the middle of the drive mode selector dial is Sport Response, push it and Sport Plus is activated for 20 seconds. 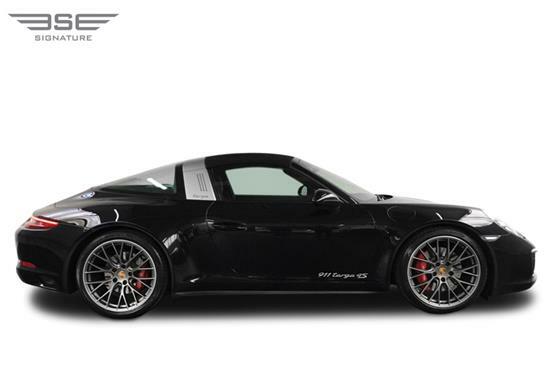 This means that the PDK drops to the lowest available gear, the engine revs climb, and turbo boost is maximised.